Tonight marks the Spring Training debut of Cleveland Indians outfielder Michael Brantley, his first in-game appearance since undergoing ankle surgery over the offseason. This, of course, is an exciting development, especially considering the initial projection was Brantley wouldn’t be ready for Opening Day. Even if he’s held back from playing during the first few series of the season, it’s clear he needs to put forward a solid year in 2018. Thanks in part to statements from Cleveland’s front office, Brantley will be heading into the upcoming season facing some intense scrutiny and increased expectations. One of the bigger narratives from the Indians’ offseason was whether they would pick up Brantley’s $12 million option for 2018. Despite two All-Star appearances since 2014, including one last year, Cleveland’s left fielder has struggled with significant injuries lately. Shoulder surgery sidelined him for all but a handful of games in the 2016 season, while a sprained ankle last year eventually resulted in his getting an operation at the end of the playoffs. 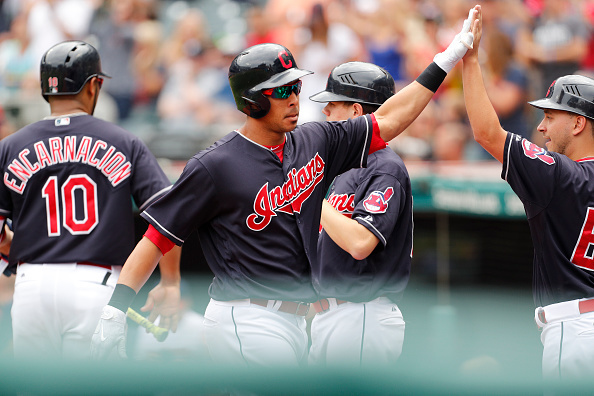 Despite these concerns, the Tribe didn’t hesitate to exercise Brantley’s option. Naturally, fans were immediately concerned about the team spending a sizable chunk of salary on a player who’s logged a combined 101 games across the past two years. If this wasn’t enough, GM Chris Antonetti further added to the fan anxiety soon after re-upping Brantley. This remark was met with skepticism almost immediately, and will surely resurface if Brantley once again struggles to stay on the field. Sure, when healthy, Brantley remains one of the better hitters in the majors. He was an MVP candidate in 2014, and his ability to get his second All-Star nod last year despite coming off two shoulder surgeries was incredibly impressive. Brantley is one of the clubhouse leaders in Cleveland and, when he’s in peak form, he adds a ton to the team’s offense. The problem, though, is how rarely we’ve seen him in peak form these days. If Brantley spends more time on the shelf this season, you better believe the front office is going to have some intense criticism thrown its way. Remember, the Tribe had a handful of free agents on its hands when the offseason began, most notably first baseman Carlos Santana and trade-deadline rental Jay Bruce. Both had been productive, yet each ended up departing, the latter for a relatively inexpensive deal with the New York Mets. On top of this, Cleveland was only a minor player in free agency, with the signing of Yonder Alonso (Santana’s replacement) the only noteworthy move. Had the Indians declined Brantley’s option, would they have kept Santana or been more active in the offseason? Not necessarily. However, it certainly would’ve helped the cause. Unfair as it may be, this is going to be the cause of increased scrutiny towards Brantley this season. The team made a sizable bet on him being healthy and productive again as opposed to focusing elsewhere, going out of its way to clarify this fact soon after. It may very well pay off, as ankle surgery isn’t nearly as serious as undergoing two shoulder operations. The second this starts looking like an ill-advised investment, though, expect the pitchforks to come out within the Indians fan-base. As a result, the team badly needs Brantley to return to form this year. Any struggles at the plate will likely be blown out of proportion. Any ailment, even minor, will have fans chastising the front office for wasting money. Bottom line – the Indians can’t spend another season seeing their star left fielder as nothing more than a frequent flyer on the disabled list. To be fair, I’m not saying the only way Brantley and the Tribe can avoid skepticism is if he earns his third All-Star appearance. Right now, just having him producing at the plate and staying healthy for the majority of the season would be a huge boost. If this once again proves to be a goal Brantley struggles to meet, the move to pick up his option is going to be critiqued throughout the season. The upcoming year appears to be a great opportunity for Cleveland to contend for a World Series. If the team falls short, many will be left to wonder if betting on Brantley was the right call.